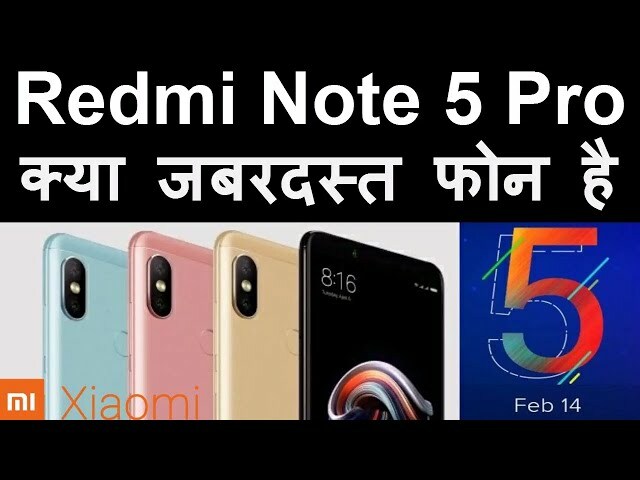 Xiaomi is all set to unveil the Redmi Note 5 in India tomorrow, February 14, and ahead of the official launch, the phone’s spec sheet has made its way online. The leak also suggests that Xiaomi is working on a Redmi Note 5 Pro, which is powered by Qualcomm’s latest mid-range Snapdragon 636 chipset. It also looks like the Redmi Note 5 Pro will have dual cameras at the back, in a 12MP + 5MP configuration, with a 20MP front camera with LED flash up front. The leak details the full specs of the Redmi Note 5 and Note 5 Pro, with both phones set to sport 5.99-inch 18:9 displays. Based on the specs, it looks like Xiaomi is rebranding the Redmi 5 Plus as the Redmi Note 5 in India, with the phone featuring the same Snapdragon 625 platform as its predecessor, along with a 4000mAh battery, and memory configurations of 3GB/32GB and 4GB/64GB. It looks like the Redmi Note 5 Pro is the more interseting of the two devices, featuring up to 6GB of RAM and 64GB of internal storage. The phone will also come in variants with 3GB of RAM and 32GB of storage, and 4GB of RAM as well as 64GB of storage. Like the Redmi Note 5, the Note 5 Pro has a 4000mAh battery that charges over microUSB.